Funeral services for Civil and Architectural Engineering alumnus Floyd Albert Bishop were hosted June 7. 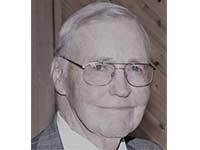 He graduated with a degree in Civil Engineering from the University of Wyoming in 1942 and was the Wyoming State Engineer for 12 years. From 1975-1985, he was the vice president for Banner and Associates, Wyoming’s largest engineering firm at the time. He was named an Outstanding Alum of the University of Wyoming and in the UW College of Engineering and Applied Science. Bishop's full obituary can be found here.